I read the recipe through and realised that I didn’t have any of the equipment that was needed, so I had to improvise a bit. 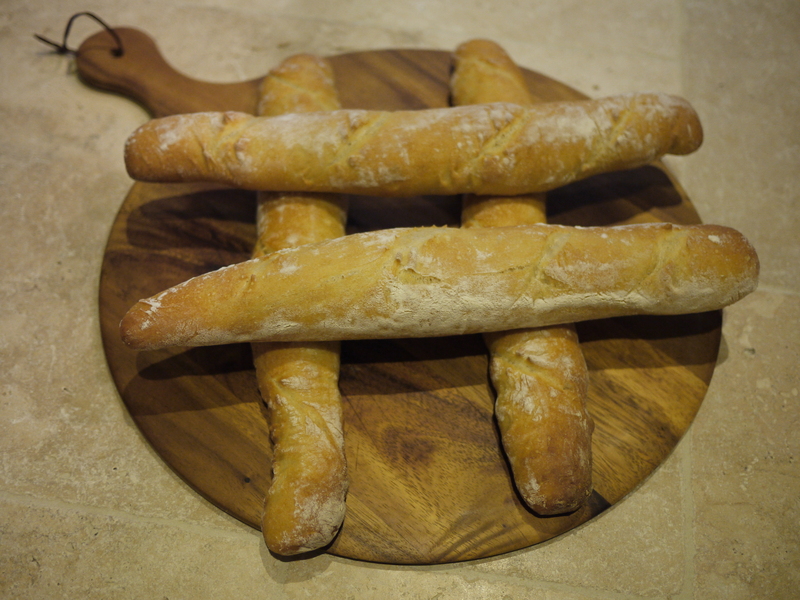 Here is Paul’s baguette recipe. The 1st bit of equipment I was missing was a 2.4l square plastic container, so I had to prove my bread the usual way, in a bowl. So far, so good, the dough rose nicely and I followed the instructions and cut it into 4 equal sized pieces and rolled it out. 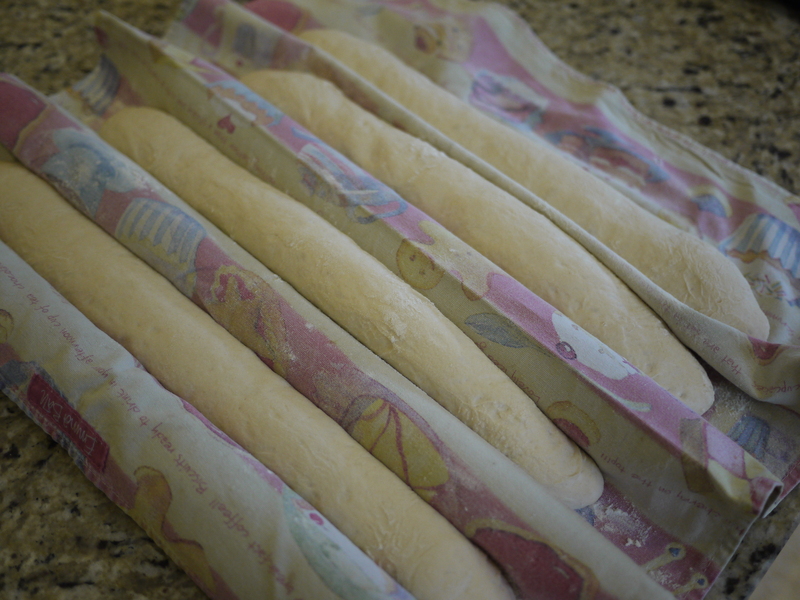 I didn’t have a linen couche, so I decided to use a clean tea towel and rolling pins to make the folds. It seemed to work ok, one of the baguettes stuck to the tea towel a little bit. 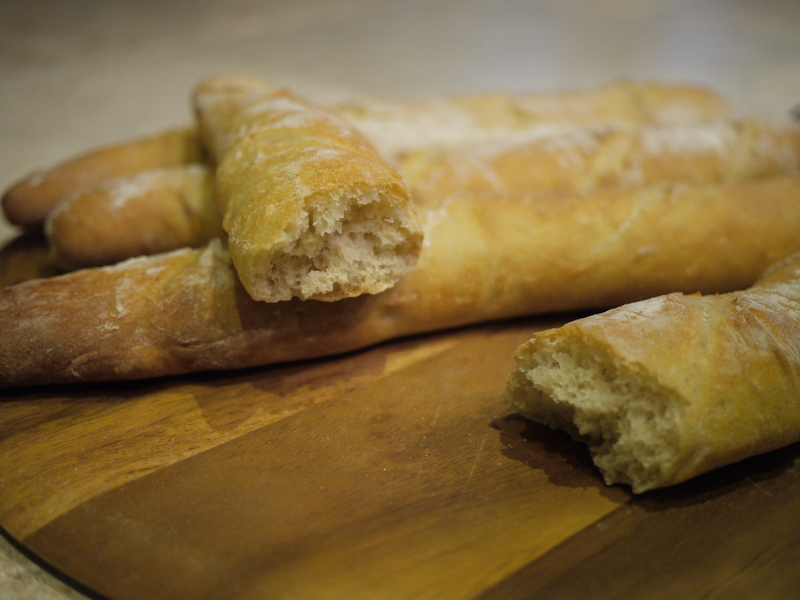 The hardest bit, was getting the baguettes from the tea towel onto the baking tray, the 1st one ended up very distorted, I tried my best to handle the others less and they looked marginally better. I also didn’t have a razor blade to make the 4 slashes, so I sharpened a small knife. It wasn’t any way near sharp enough and didn’t make a nice smooth cut through the dough. 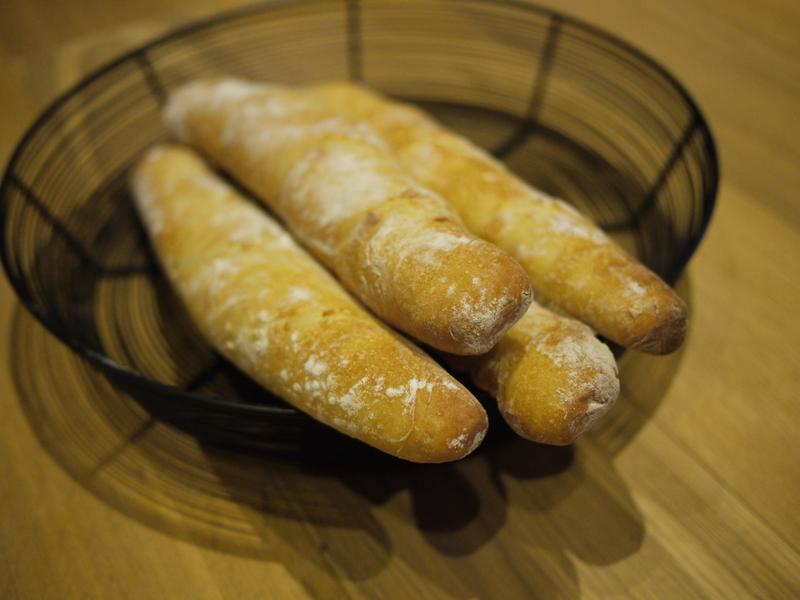 A couple of the baguettes ended up a bit deflated! I popped them in the oven and after the 25 mins was up, I was pleasantly surprised to find that they looked much better than I thought they would and smelt amazing! I couldn’t resist breaking the end off one and trying it – it tasted delicious. 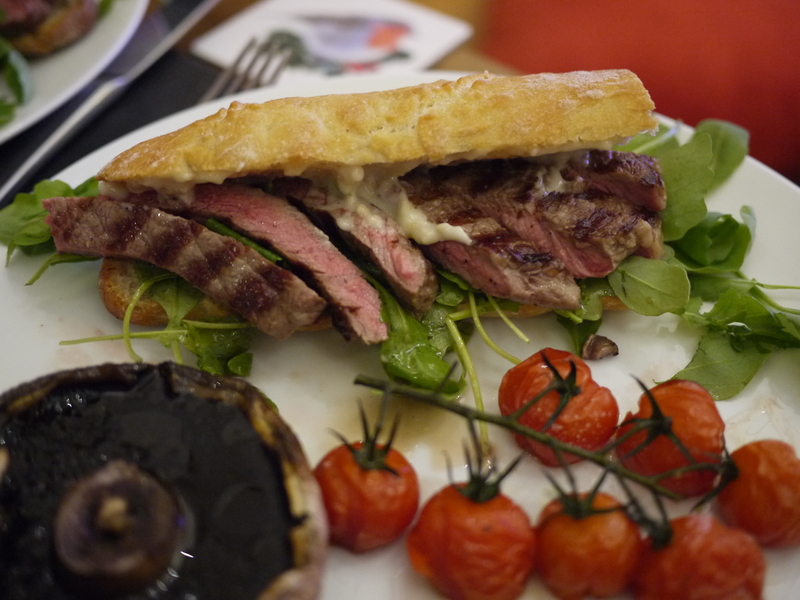 I used the baguettes for dinner and cooked some steak to make a yummy steak baguette!